One Cup offers rare insight into the struggles of coffee farming in East Timor, the poorest country in Asia. Filmed in the mountains of East Timor in January 2006, One Cup depicts the struggles and health concerns of coffee communities in Asia. 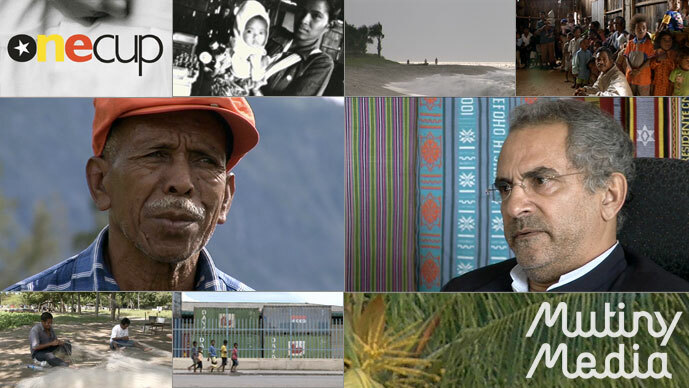 Featuring Foreign Minister Jose Ramos Horta, Oxfam Program Director Keryn Clark and scores of Timorese Coffee farmers. One Cup looks at the international Fair Trade system. One Cup is a moving and visually arresting reminder of the ever increasing need for support for the millions of third and developing world farmers across the globe. One Cup was co-produced with Scarab Studios.